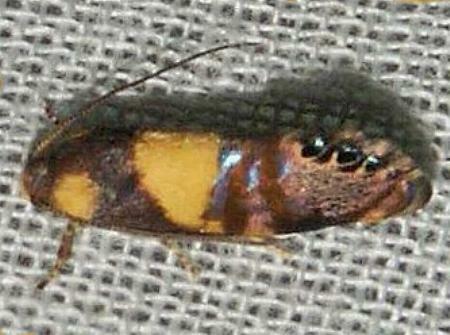 This adult moth has brown forewings each with broad yellow band across the middle, a yellow area at the base, and three black spots near the tornus. 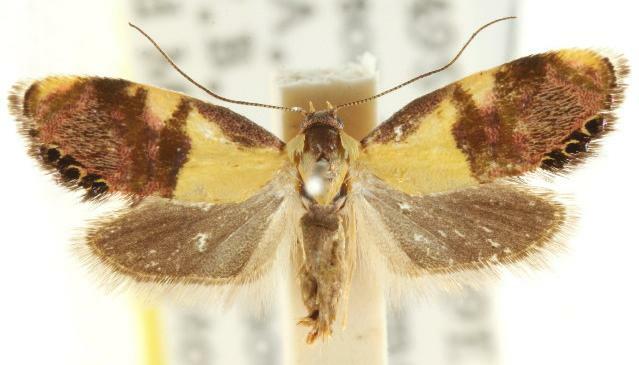 The hindwings are brown. The wingspan is about 1.5 cms. Volume 1 (1915), p. 306-307. LeapFrogOz, Kuranda, 2015, p. 97. CSIRO Publishing, 2007, p. 78.